On November 10-12, six Biology students and their mentor Dr. Jodi Evans attended the Sigma Xi Conference in Raleigh, North Carolina. Students share their reflections on the conference. 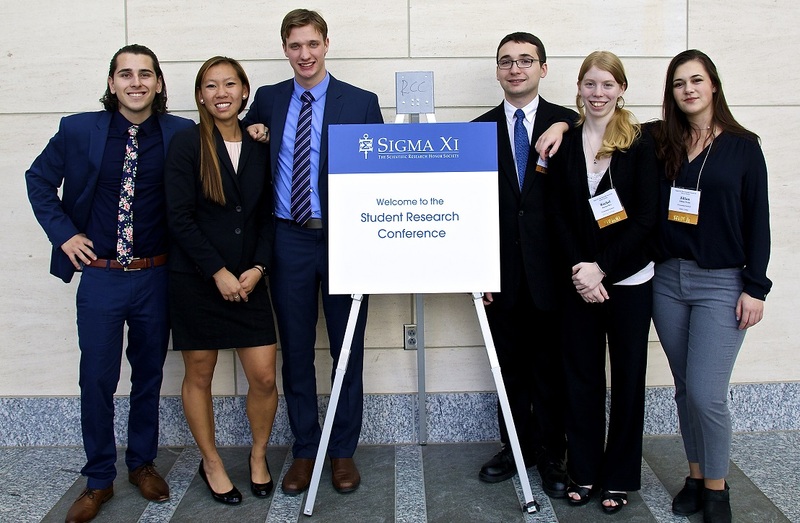 The Sigma Xi Student Research Conference was a great learning experience from start to finish. We first heard about the conference in the spring and decided we would work towards submitting an abstract for consideration. We did not know at that moment what we were getting ourselves into. We spent countless days over the summer performing many tests to get data for which to write an abstract. Our hard work paid off when we received the email notifying us that our abstract was accepted into the conference. However, that only opened up a new challenge for us to face. We now had to raise enough money to get to North Carolina. The entire experience gave us the accomplishment of seeing our work through to the end. Every step along the way, from culturing the cells over the summer to hosting bake sales in the Public Square lobby, and then finally to presenting our research in front of the judges, taught us that all of our efforts brought us to that moment. It was the culmination of almost a year’s worth of work, and we got further than we thought we ever could a year ago. Even though we didn’t come home with a medal, we learned that we could accomplish anything if we put our minds to it. And as cliché as that sounds, sometimes that’s all you need to be successful. Anthony Morante, senior Biology major from West Babylon, NY. My experience attending the Sigma Xi Conference in Raleigh, North Carolina, was nothing short of enthralling. 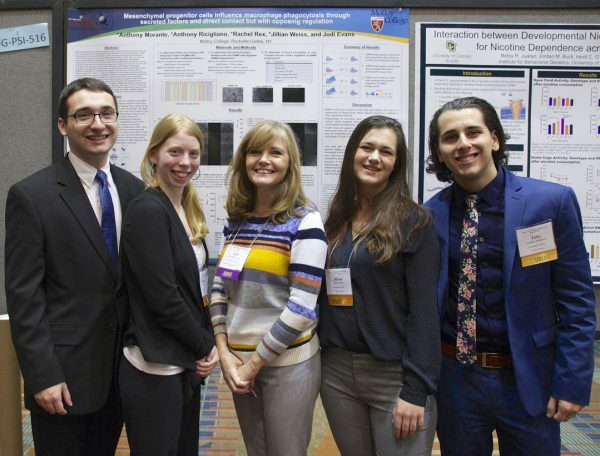 After a little over a year of engaging in highly specific biomedical research, crunching data for hours, and fundraising for the trip, my fellow researchers and I had been excitedly anticipating this conference for a long time. It was the perfect opportunity to share our research with others who felt just as passionate about the sciences as we did. The most rewarding part of attending this conference was hearing from other scientists about their own remarkable research and findings. 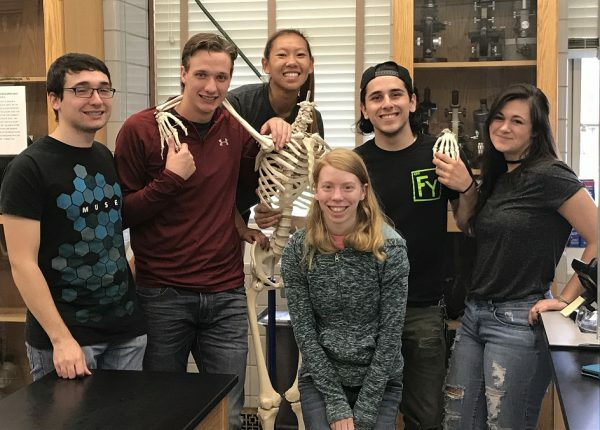 We got the chance to learn so much about topics ranging from climate change to animal behavior studies to immunology, all while socializing and networking with scientists and researchers that will someday change the world. It was impossible not to be humbled by an opportunity like this. My passion for science was inflamed, and my excitement for a career in biomedical research swelled. Upon arriving back home in New York, fresh off of this infectious excitement, my sights sharpened more than ever on enrolling in an institute for my master’s and doctorate in Immunology. I’m so grateful for this experience, and it will remain as one of the most rewarding opportunities my time at Molloy has offered me. Anthony Ricigliano, senior Biology major on the pre-medical track from Massapequa, NY. Over the weekend of November 10-12, I was honored to go and present my research on mesenchymal progenitor cells and their influence on macrophage phagocytosis through secreted factors and direct contact but with opposing regulation. This entire research experience has been one of the best experiences of my life. 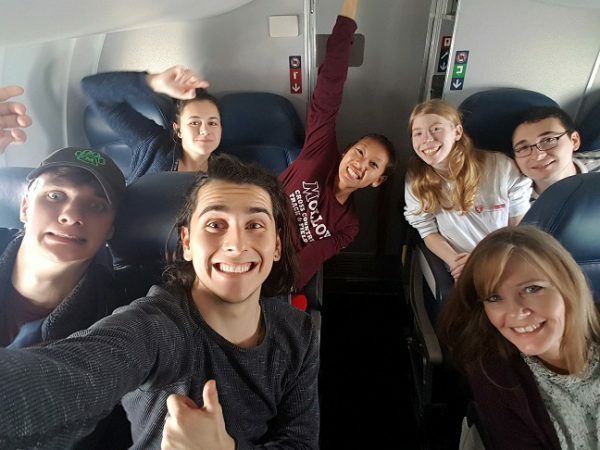 All of our hard work was really shown first when we were accepted to the conference and then when judges and peers from all across the country listened to what we did and enjoyed it. Being in that environment was a once in a lifetime experience. It really brought everything we had been doing for the past year to light as something more than just another project. In addition, raising the money for this trip really inspired me as I watched so many family, friends, peers, and faculty support us. I am happy I was able to be a part of it and enjoyed telling everyone about our project at MACUB at the Sigma Xi conference. I also look forward to presenting to the entire BCES department. I’m grateful to my peers and mentor who I have had the pleasure of working with and getting to know throughout the duration of this project. They are part of what made it such a great experience. I would like to thank everyone for their support. I will always treasure this opportunity I was given, and it will help me become a better scientist, worker, and person as a whole. Rachel Rex, senior Biology major on the pre-veterinarian medicine track. First, I would like to start by expressing how proud I am of my colleagues – and myself, of course – who worked so hard over the last year. It all began with long nights of research followed by long weeks of lab work that perpetuated into the summer months and all culminated into a grand final masterpiece. The number of hours that we dedicated to research, lab work, data analysis, and fundraising efforts were more than worth it. While at the conference we met a plethora of other young researchers who came from vastly different places and backgrounds, all congregating in one city in North Carolina to nerd out together. It was very interesting to talk to these other researchers and find out where they came from, what inspired their work, and how they’re going to proceed in the future. We could also see, first hand, how well received our research was, which made us all feel elated to say the least. Additionally, we were presenting among both high school and graduate students in addition to fellow undergraduates. Being between these two ages we could vividly see where we came from and what we will progress into one day. 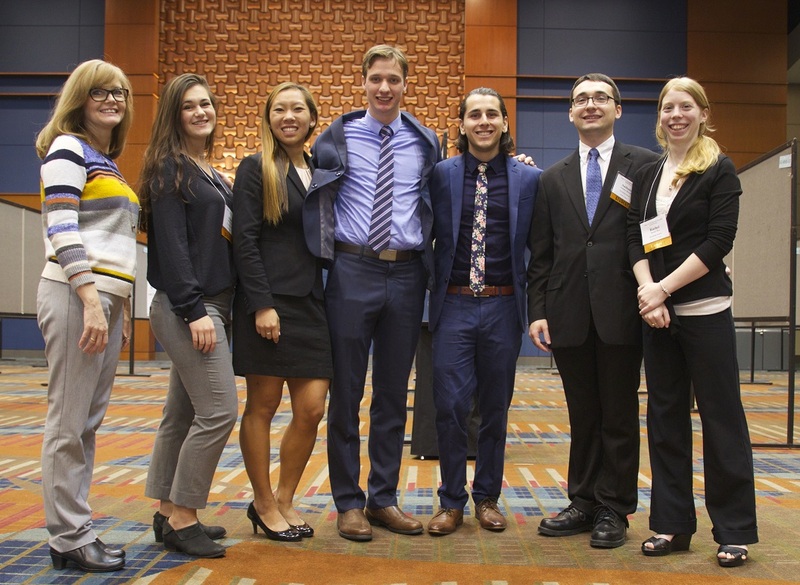 It was really exciting to see how much we accomplished at an undergraduate level and how much we can seek to accomplish as we move into graduate schools. None of this could have been done without my peers and our absolutely fantastic mentor Dr. Evans. She provided us with more wisdom, time and energy than was ever required of her, but really helped us to succeed nonetheless. I am grateful I came to work with a group of such brilliant minds. Jillian Weiss, senior Biology major on the pre-medical track. This past November I had the wonderful honor and privilege to represent the Molloy College BCES program at the Sigma Xi Conference in Raleigh, North Carolina. I found myself surrounded by five peers competing in a highly-accredited undergraduate research competition. We had poured our blood, sweat, and tears in the lab to further research in the world of science. 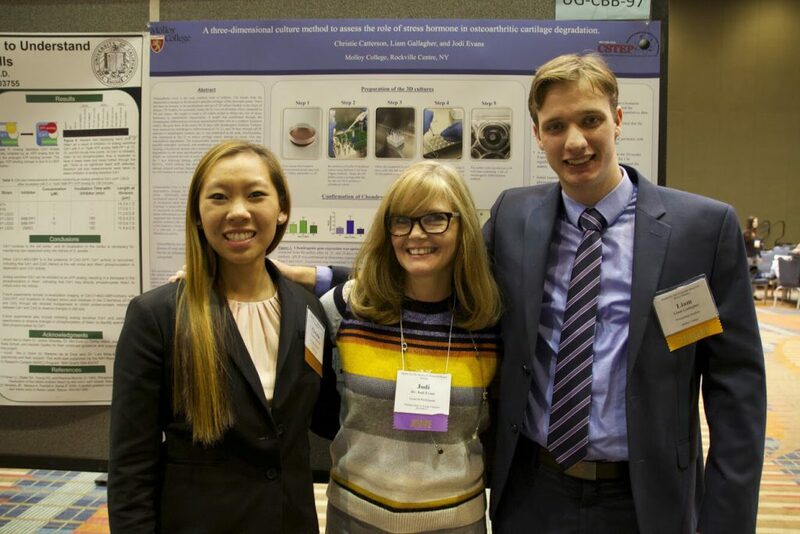 We had all worked extremely hard over the past year, including the summer, to pursue our research. I was also fortunate enough to receive a state grant through the CSTEP program. When we decided to attend this conference, we knew we had a lot of work ahead of us in order to raise the funds to support our journey. From having bake and apparel sales to hosting a bowling fundraiser to creating a GoFundMe page, we had a fun time reaching our end goal. It is my hope and aspiration to further inspire other underclassmen to get pumped about research and immerse themselves in all the endless possibilities Molloy has to offer them. I am sad that my time at Molloy is quickly coming to an end. However, I am extremely fortunate and grateful for this wonderful experience, including the memories and friendships that I have made along the way. Christie Catterson, senior Biology major with a double minor in Chemistry and Psychology on the pre-medical track. Images courtesy of Anthony Ricigliano and Christie Catterson.